UA’s Autism Spectrum Disorders Clinic houses the West Alabama Regional Autism Network and provides diagnostic services and interventions to UA students and community members. TUSCALOOSA, Ala. — The West Alabama Regional Autism Network at The University of Alabama will hold “Autism 101,” its first community outreach event for 2019, Tuesday, Feb. 12. 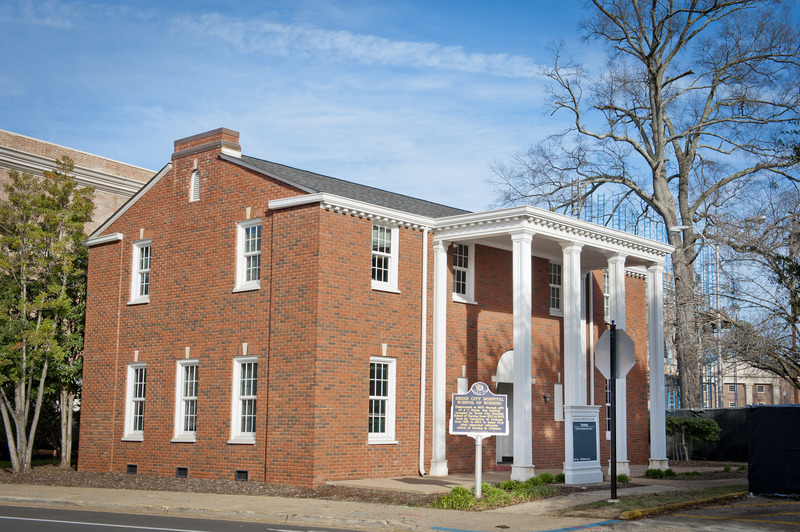 RAN at UA, part of the Autism Spectrum Disorders Clinic on campus, is one of five regional offices of the Alabama Regional Autism Network, a state-funded initiative of the Alabama Interagency Autism Coordinating Council. Researchers, practitioners, educators and families staff the network and work to increase communities’ knowledge of Autism Spectrum Disorder and connect people to a range of services and resources. West Alabama’s network will hold a free “Autism 101” workshop for parents, caregivers, educators and service providers of individuals with Autism Spectrum Disorder at 11 a.m. Feb. 12 at the Belk Activity Center on Bowers Park Drive in Tuscaloosa. Attendance is free of charge. Lunch will be provided. Community members are asked to RSVP here. Dr. Angie Barber, chair of UA’s department of communicative disorders, will be the featured speaker at the event. Barber specializes in early autism interventions, including within rural parts of Alabama. RAN at UA was launched more than two years ago and in August 2018 hired its first full-time director in Sylvia Hollins, a former school counselor at Tuscaloosa Magnet School. In her previous role, she provided outreach, education and one-on-one support with students who have special needs and their parents. Hollins said she’s excited to build on her work in public education by connecting with residents in 13 West Alabama counties, where people have varying levels of needs, from diagnostic services to interventions. Her first charge was to take inventory of the range of services and providers in the state, along with the average wait-times for interventions and diagnoses, which can range anywhere from six to 18 months. While diagnostic services are the most common concern for parents, Hollins often finds that many of the symptoms can be addressed through readily available resources that parents don’t know exist, like feeding programs and tracking programs. “I try to let parents know that diagnosis is part of the puzzle of meeting their child’s needs,” Hollins said. “It’s frustrating there aren’t many places to get an immediate diagnosis, and we try to find a specialist with the shortest wait time. Hollins said RAN at UA’s advocacy mission will greatly impact the rural areas in the region, as residents have lower access to resources and services as their counterparts who live in and around Tuscaloosa. And despite economic challenges, rural Alabamians are “resilient” in wanting to meet the needs of their children, she said. RAN at UA’s lunch and learn is the first region-wide outreach and education event, one of four planned this year. Hollins has communicated with each of the 13 counties through phone calls and mailers; she plans to visit each county in person to establish grassroots connections and build support groups. In the future, Hollins hopes to bring various intervention programs and diagnostic services, particularly board-certified Applied Behavioral Analysis, to the area.